Global Capitalism: The Shard is in a part of London that most Britons consider a poor location for an expensive building, but that doesn’t stop it from being successfully marketed to foreign investors. The offices in the Shard are more than half empty, and a poll shows that Britons do not want to live in the Shard, but marketing offices in foreign countries sold apartments and investments in the building for enormous profits. Similarly, most New Yorkers do not want to live on 57th Street, but foreign investors buy pied-à-terre, fourth-homes there with views of Central Park for the highest prices in the city. Cheap Construction: The modern glass curtain wall on most iconic towers is cheap, for four reasons: the materials are cheap; the fabrication of the glass walls, frequently made in China, is cheap; the curtain walls require little craftsmanship or skilled labor; and the manufacturers take the computer drawings of the architects and translate them into construction drawings, saving the architects work as well. Big Unions: Labor unions obviously like large construction jobs, and they particularly like large construction jobs that allow them to expand the union but that don’t require a skilled labor pool. Big Zoning: Mayor Bloomberg’s world view was the same as Wall Street’s and REBNY’s. He updated “What’s good for General Motors is good for America” to “What’s good for Big Business is good for New York (and London, and Paris, and…),” and he expressed the philosophy behind the new World Cities when he said that cities are “luxury items” you have to pay for. Note: I voted for Mayor Bloomberg three times. I wish I had only voted for him twice, because until his lame-duck term he was a bit more restrained in his promotion of Big Development, which is choosing short-term mega-profits over the long-term health of the city. Big Architecture: Big Finance, Big Development, and Big Architecture are a marriage made in heaven for Starchitects, who have won work around the world and even made serious money. Lord Foster, for example, is one of the 400 richest people in Britain. From the point of view of the developers, if you want to promote ridiculously profitable shiny new towers in Hong Kong and Moscow, it’s good to have a culture of world-renowned Starchitects promoting a Cult of the New. One hand washes the other. Big Architecture also refers to the way most Starchitects and aspiring Starchitects work today, which is unlike the way urban planners design. 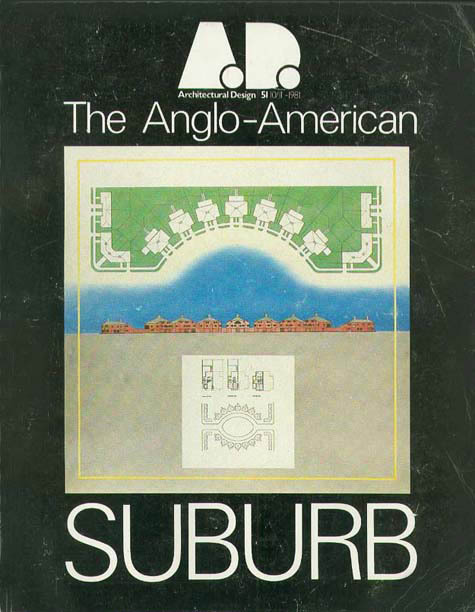 A city plan starts with the streets and the blocks, with building types in mind. Like it or not (I don’t like it much), Daniel Libeskind’s winning plan for Ground Zero is an example of urban design: what we see there today are the streets, blocks, and building types he laid out, but without the towers he was hoping to design. Norman Foster’s competition entry, on the other hand, was Big Architecture: it was a design for a big building, and the plan only made sense with his building. Some of these buildings are good, some are bad. Similar things can be said about capitalism, and even Global Capitalism. Extending Winston Churchill’s famous remark about democracy, we can say that capitalism is the worst form of economic life “except for all those other forms that have been tried from time to time.” What is new is the ubiquitous, one-size-fits-all building model applied to the entire world for the advantage of the very few. When McDonald’s spread its fast food chain stores cities across the world, we thought that was bad, but in fact storefronts come and go, while buildings remain. In the 21st century, when Slow Food, localism, craftsmanship, walkability, and placemaking are all the rage, a world focus on “iconic” towers seems oddly dated, out of touch, and literally out of place. The vast interiors on large floors with no operable windows and little connection to the ground are the opposite of natural ingredients, and the energy-hog, unsustainable and mass-produced curtain walls might be compared to GMOs. The world’s not asking for GMOs, but Monsanto makes lots of money from them, and in today’s world Big Money usually gets what it wants. 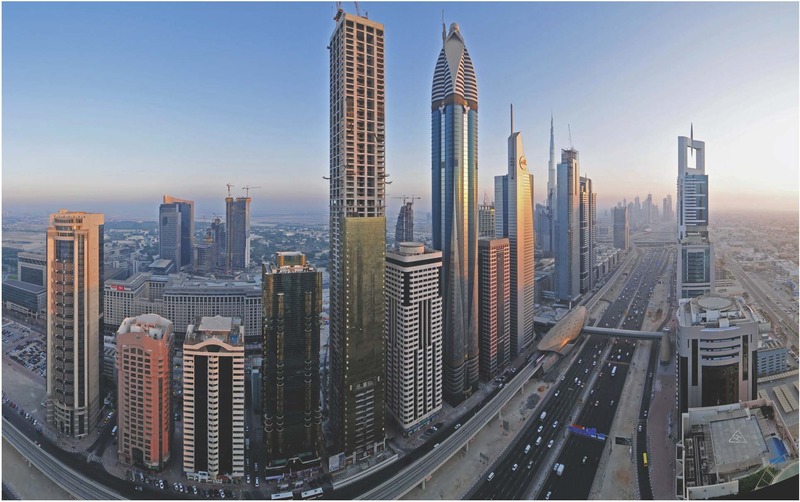 Photo of Dubai courtesy of James Howard Kunstler, who calls this Bowling Trophy Architecture. — Wolfgang Georg Arlt, Forbes Magazine. * Wall Street used to put money into investment packages like bundles of shopping malls that met particular criteria: most notably X customers within Y miles, target income, suitable anchor tenants, and a sufficient number leases signed by Z chain stores. Using that formula, multiple new malls could be packaged into a single investment sold to people who would never see the malls and who probably didn’t even know where they were. Formula, formula, formula trumped location, location, location. 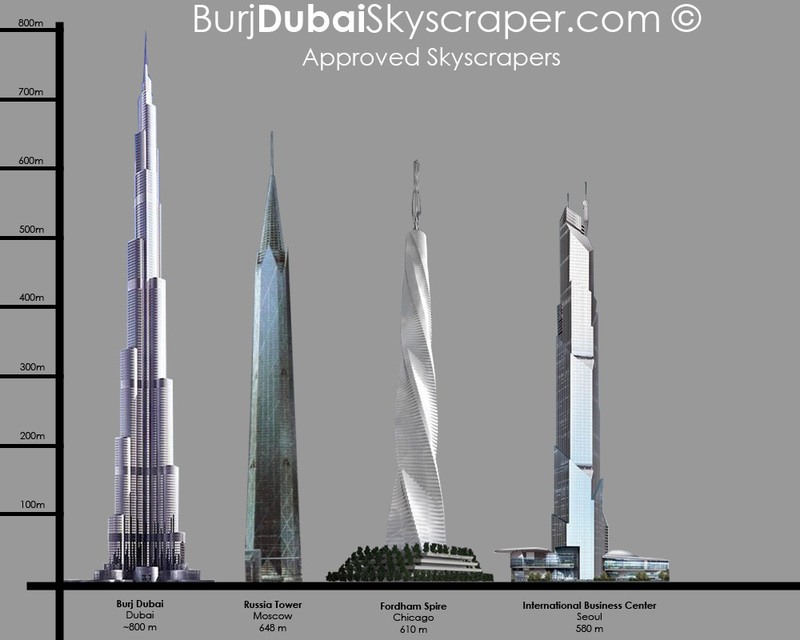 “Iconic towers” are just as formulaic and marketable, but now around the world. And the return on investment can be phenomenal. Alan Davies, “Is it time to cap ‘the era of the skyscraper’”? This entry was posted in Architecture, Culture, Current, New York, The Other Kind, Urbanism. Bookmark the permalink. Good political economy. I would add to your otherwise excellent analysis is Problem #8. “Small Democracy”. When Community Boards are unelected, have little power, when there are few if any referendums (as in, say, Switzerland), when our government is literally captured by powerful and rich lobbies such as that for Big Real Estate (witness the Moreland Commission and yesterday’s Real Deal article), the ordinary citizens (most of whom I suspect in New York are not in favor of the Dubai-ification of our city) have no means to re-assert some control over their neighborhoods and homes. Moreover, I think the alliance of Big Architecture/Real Estate/Finance does not want locals reasserting any democratic control of anything. No no, they would fret, that would result in Nimbyism. Influential nimbys – The course of least resistance for a politician interested only in “comforting the comfortable” is to reach a truce between nimbys and builders by allowing new development but squeezing it into areas that aren’t near existing desirable neighborhoods. These areas are hard to find, so you get enormous density, and they tend to be cut off from the old grid street network so you get traffic engineers building new oversized roadways. Also, I don’t see why you think unions want low-skill labor. It’s just the opposite for construction craft unions. Especially on private-sector buildings where the unions’ competitive advantage is in the more skilled labor force. If you’re going to develop one or two lots as of right, NYC is one of the easiest places to build. On the other hand, the Bloomberg administration actively favored Big Development in places like Atlantic Yards and Hudson Yards with billions of dollars in subsidies and public-private partnerships that took the approval process outside public approval. And building in Shanghai or Dubai is not like building in Dubuque—of course big projects were favored there, but not because of the zoning process. And if you Google “Andres Duany Lean Urbanism,” you’ll see a very different approach. In other words, I only partially agree with your generalizations. Very elegant piece of work, John. I’m looking forward to your and Steve’s program. By the way, if some of your readers object to the Shanghaiing of Paris, the association I founded, Americans for the Preservation of Paris (APP), offers a petition for that. I appreciate the way you’ve laid out this argument, and while I think I may disagree with the premise. I have a couple questions. Given that this is the situation is there a way to advocate for something better? If Foster’s “big architecture” lost to Libeskind’s “urban design” is that an example of the right approach (“big architecture” losing)? If you don’t favor the urban design of his Libeskind’s plan, is it still a positive result? As a young aspiring architect, I disagree with your characterization of most architects as practicing “big architecture” and if I understand your argument correctly I think it would be more accurate to say most “published architects.” While architects run the gammit from good to bad, the “Starchitects” you speak of are the minority. You’re right about “most architects” — I will change that. On the other going to bars and restaurants in NoLiTa, Williamsburg, and Greenpoint in New York where most of the customers are Millennials, one sees a lot of interest in craft, materials, platemaking, and comfort, in traditional, Modern, and eclectic renditions. The bias towards ideological and conceptual Modernism is usually not in evidence. But you don’t see that in the public architectural discussion in New York. In answer to your question, for hundreds of years, the first job of the architect was to contribute to a good public realm, focusing on the space between the buildings before moving on to the the building itself. At the school where I was on the jury, students are taught “autonomous architecture,” with the explicit idea that the context around your building will change, your building needs to be internally consistent. This contributes to the design of buildings which do not respect the public realm very much, and frequently not at all. Most of the time my appreciation of buildings begins with how it contributes to the public realm. 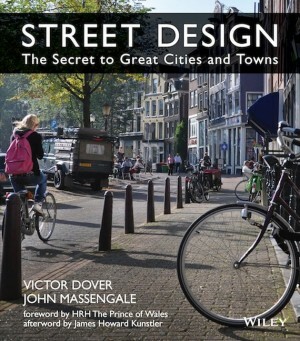 But of course there are always exceptions, and the exceptions can still contribute to the public realm in their own way. A prime New York example is the Seagram Building. 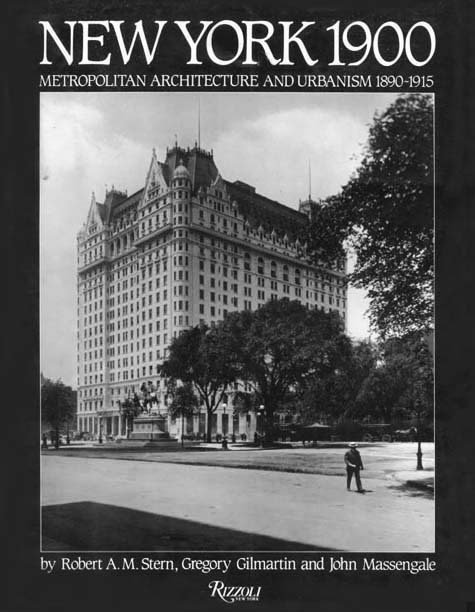 When it was built on Park Avenue, it was a beautiful exception to the rule. And it didn’t ignore the rule, it just took a different position. As Seagram became a model, Park Avenue and even Seagram’s place on Park Avenue became less distinctive and beautiful. Over on Sixth Avenue, where Seagram’s was a model for cheaper, much larger (when it comes to minimalism, size matters) versions all lined up on what became a very boring and sometimes ugly street. Context matters too. In other words, these are not absolute rules. A building that breaks the rules can be better than a building that follows the rules. For cities, though, it’s a problem when everyone breaks or bends the rules. BTW, I think these will all be topics of much discussion at the new Michael Graves School of Architecture.